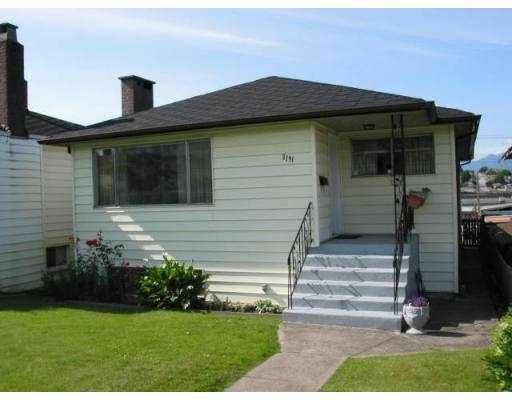 Fantastic value, in one of the best locations in Renfrew Heights in Vancouver. Two blocks to the Rupert skytrain, one block to shopping, two blocks to schools. Upstairs has been well maintained and boasts original hardwood floors. Three bedrooms on main floor, living room with fireplace, adjoining dining room. Kitchen with eating area nook and view deck. Bathroom has been updated with new tile. Great layout and rooms are generous sizes. Downstairs offers beautifully finished two bedroom accommodation with over $55,000 worth of professionally done renovations. Floors remain warm all winter with 6 inch sub-flooring. Jetted corner tub and separate shower provide luxurious cheater ensuite. Master bedroom is large with gas fireplace. Second bedroom is also large with bright window. Bright daylight basement. Laminate flooring throughout. Loads of storage room perfect for the extended family. Exterior has been updated with 11 year old roof, storm windows and vinyl siding. Single car garage.